Shame and self-contempt always stop growth and block healing, yet how often do we treat the tender places within ourselves with violence without thinking twice? We abuse ourselves, mock ourselves, and create a fear of our vulnerability. But we can change those critical voices. Proverbs 18:21 tells us, “Death and life are in the power of the tongue.” We have the opportunity to change the “death” meaning of our stories by the power of our tongues. To breathe “life” into those places of fear and shame, we must do so through kindness. To treat our tender places inside with compassion may seem difficult at first. The messages that play in our minds are mostly the ones of past suffering and sin, which are always twisted, toxic, contemptuous messages that have led us to where we are currently: lost and confused and full of displaced rage. We have the power to create a new message and replace contempt with blessing, with the voice of God rather than that of evil guiding us. If that represents my son’s experience of learning to ride a bike, how will he ride from then on? He will learn to ride, but most of all he will learn to be timid and terrified of my violence. He might never ride free again. He might never enjoy the liberation that riding a bicycle offers. My contempt might traumatize him and steal the essence of goodness that is riding a bike. As he grows up, he might develop his own inner critic (an echo of my voice, in his own head), especially when learning new things. He may develop a perfectionism that guards him against the contempt of others and struggle to find his worth in performance-driven activities (an unconscious reenactment of trying to earn my love). This may sound extreme, but I have heard more stories like this than I care to remember. You’re reading with Andrew’s new book. Click the cover to read chapter 1. Imagine that we all have a formative four-year-old inside us attempting to learn something new, watching us learn how to act and live. Most of us are asked to accomplish things as adults that we are expected to know yet no one ever taught us. 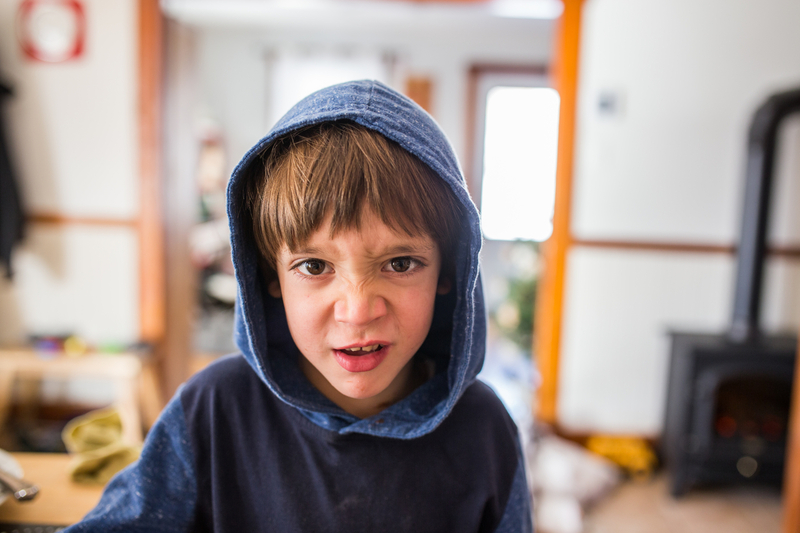 We do not know how to properly engage the timid four-year-old inside our own hearts. How do you parent the child inside you? Do you engage the young, tender parts of yourself with kindness or contempt? With rage and demandingness or with mercy and grace? Sadly, I too often find contempt more easily accessed than kindness, and with each verbal lash of the whip, I push my tender self further underground and away from the kind man I pretend I am. What would it look like if I engaged my beautiful son with kindness as he learned to ride his bike? As he fell, I would come alongside him with my arms open to hold him. “Son, I am so sorry you fell. That looked like it really hurt. How about I stand next to you and hold the bike next time as you learn to pedal? Let’s practice in the grass first so if you fall again it will be a much softer landing. I wonder what happened last time you fell that we can work on together.” I can imagine the tears in his soft eyes slowly drying as he nervously walks back toward his bike, but only because he knows he doesn’t have to face the daunting challenge alone. My kindness will now accompany him. If I engage my son with this compassion, he will learn not only how to ride but also to love it. He will be empowered and liberated to ride wildly, freely, and confidently. How do you speak to yourself when you fall? Where is the kindness in your voice to the tender places within you? What if you parented the young or wounded parts of yourself with the same tenderness and kindness of a loving father or mother rather than with the contempt of your inner critic? How can you come alongside yourself as you grow into the man or woman of God you have so longed to be? We don’t know for sure whether the prodigal son ever became kind to himself and broke the cycle of his self-contempt, but he was able to reenter intimate relationship with his father, and self-contempt and authentic intimacy cannot coexist with ease. They are oil and water. Through the wild persistent love of a father, all defenses eventually break down. 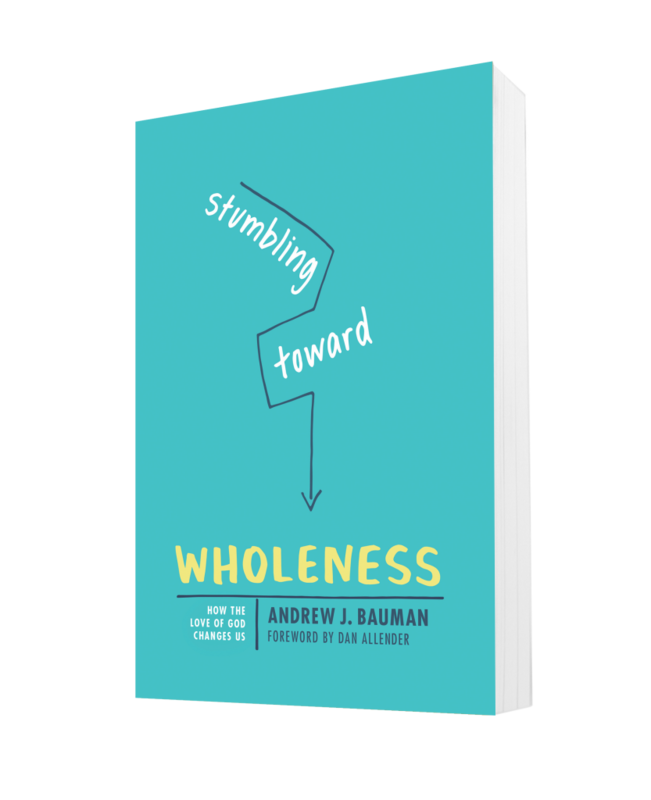 You’ve been reading with Andrew Bauman and his new book Stumbling Toward Wholeness. Where are you on your journey with God? Are you the prodigal? The bitter brother? The loving father? Andrew uses a timeless story to show how you can overcome shame, addiction, pride, and the other things hindering your healing journey. Learn more at stumblingtowardwholeness.com or see the table of contents and read chapter 1 for free here.